Road Transport Hall Of Fame CEO, Liz Martin kicks off proceedings. 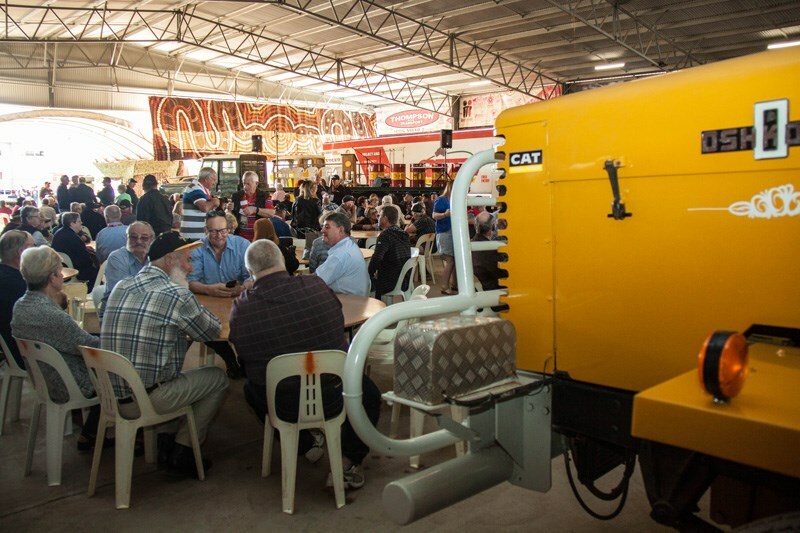 This year the event had a relaxed and almost intimate atmosphere. 80 new names were added to the Hall of Fame this year. 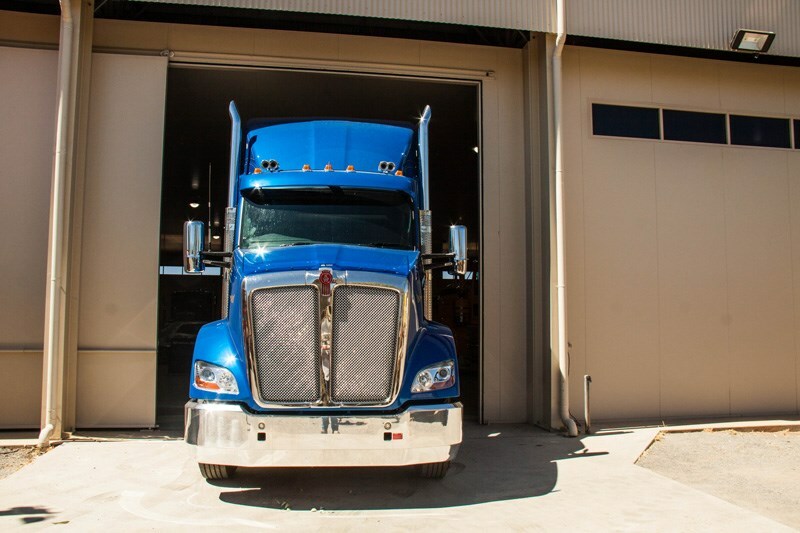 A new home for the Kenworth 900 Legend. Another new addition for the Kenworth pavilion at the RTHOF. Inductees gather for a group shot following the ceremony. Heavy haulage veteran, Paul Harrison was inducted as an Icon of the Industry. Lindsay Knight’s best memories of being on the road are from the years when he and his wife used to drive to up from Adelaide to Cairns hauling produce. Neville Murphy started out as a small town delivery boy in Queensland’s Western Downs. He ended up devoting many years to driving cement tankers around South Eastern Queensland. Pedro still owns 9 trucks on interstate fridge work. It’s a far cry from slogging around town in a butter box ACCO. Sandra Little made the long journey to Alice from Shepparton to see her daughter Gayle inducted. Gayle was tragically killed in a truck accident last year. Sandra’s family has always had close ties to trucking and the camaraderie of trucking families is something she has always valued. 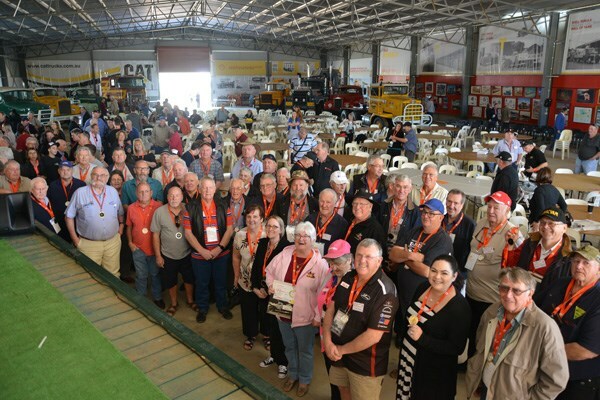 The 2017 Truckies Reunion rolled around again this year with 80 more names added to the Shell Rimula Hall of Fame, Matt Wood was there to hear their stories. Every year individuals who’ve spent a lifetime toiling away in anonymity are recognized for a lifetime of hard work and contribution to the Australian way of life. 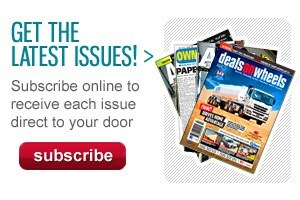 The sheer volume of stories makes it hard to tell them all in the confines of a magazine snapshot. 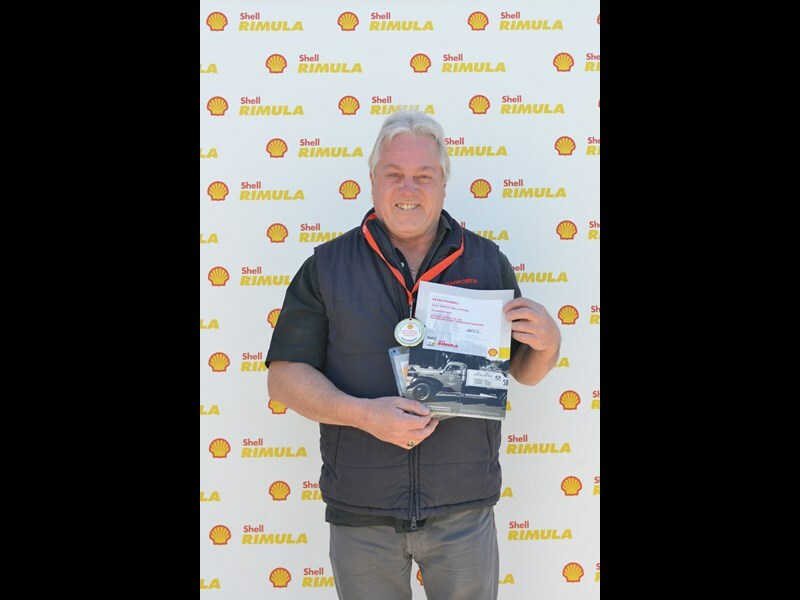 However, one of the great things about this event is that it doesn’t discriminate between company owner, employee driver or even the partner who was left holding the fort at home. The hundreds of years of collective experience at this event creates a palpable sense of history and pride. It’s a celebration of the lives of the many individuals who have done the hard yards, driven the miles and in many cases have succeeded against all odds. The story of Australian trucking is etched on these people, the lined faces and the work-hardened hands. 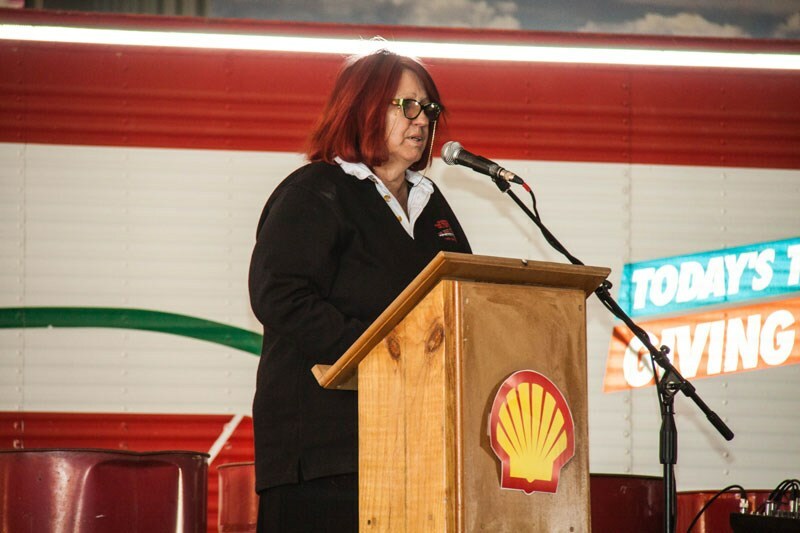 The indefatigable Liz Martin, CEO of the National Road Transport Hall Of Fame kicked off proceedings, and took the opportunity to thank the volunteers who make this event happen year after year. There was also a shout out to Viva Energy/Shell Rimula for supporting the get together. Paul Fisher, Key Account Manager for Viva Energy also said a few words before the inductees were invited to the stage. "Today we celebrate the individuals that have contributed to the Australian transport industry," "It’s great to see so many people make the journey to be here." The stories came thick and fast, many of them had a consistent theme, hard graft from a young age. Alan "Grubby" Barden for example climbed behind the wheel of a truck at the age of 16, he spent the early 1960’s hauling timber and briquettes from Bairnsdale to Cooma on gravel roads in a Commer Knocker. These days Alan can be found behind the wheel of a T909 Kenny. 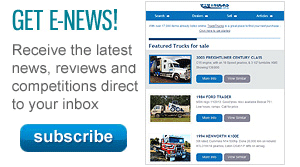 "Trucks have gotten so much better," he says, "More power, more comfort, even sleeper cabs!" 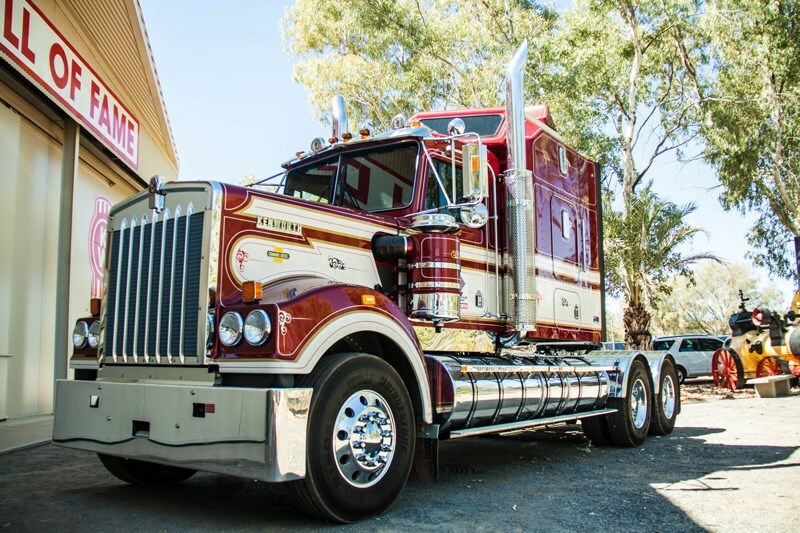 Canberra based Ken Carratt has had a wild ride during his 50 years in trucking. As a 21 year old he was hauling clay to the Yarralumla Brickworks in an AEC Mustang. One of his more memorable moments was laying over an F600 Mack with a load of coal on board in Woolongong, "I was taking a shortcut," he says with a sheepish grin, "I dumped the whole load of coal in an empty bus stop!" Then there was also the night he took out the bridge in Benalla with a K125 Kenworth and landed on the opposite bank upside down, "That was the end of the Kenworth," he says dryly. Peter "Pedro" Folwell runs Melbourne based Primo Haulage, however back in the 1970’s Pedro was running around Melbourne in a GM powered butter box ACCO. He’s not exactly enamoured with how the industry has changed over the years, "We went from having a lot of fun to political madness." These days the company runs 9 trucks which he says suits his lifestyle. For Port Lincoln based Hayden Hore, trucking started out as a family affair on the Eyre Peninsula, "I started out driving tippers for my uncle," he recalls, " But I did a bit of everything." Hayden ended up subbying to Eyre Transporters and hauled general freight to Adelaide. "I bought my first Volvo, a G88 in 1976, I’ve been a Volvo man ever since." Hayden retired 6 years ago, his last truck was an F10 Volvo tippers. 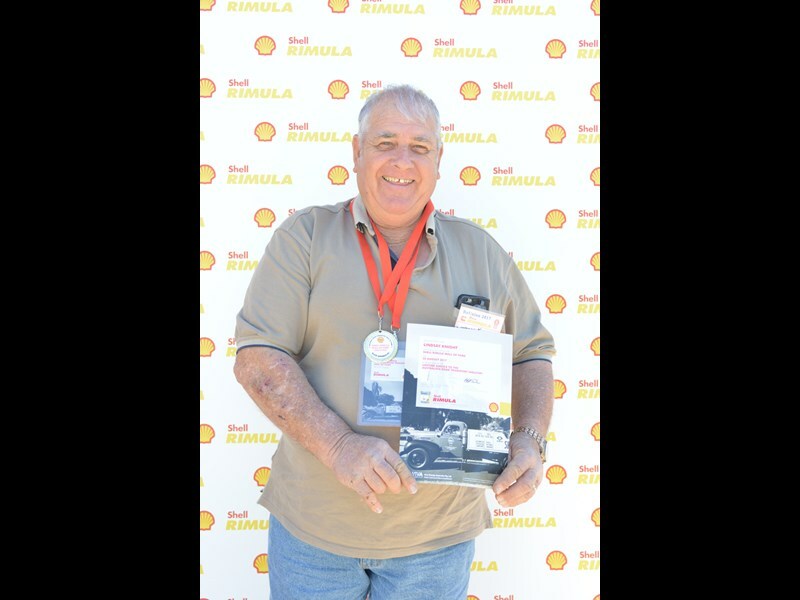 Looking back however, he reckons the best time for him behind the wheel was pulling road train fuel tankers across the Nullarboor, "It was a lot of fun, a lot of good memories." In 1968, Lindsay Knight scored his first driving job in an F700 Ford. And 12 months later he went and bought his own. Lindsay was based in the South Australian Riverland and racked up quite a few miles as a long haul operator. In the late 1990’s Lindsay defied advice from friends and family and teamed up with his wife, driving their truck 2 up from Adelaide to Cairns running wine and produce. "That was the best time," he says. Now Lindsay stays closer to home as an employee driver doing local tanker work for Booths. Tragedy bought Sandra Little to Alice Springs this year. Her daughter Gayle who died in a truck accident last year was inducted at this year’s event. 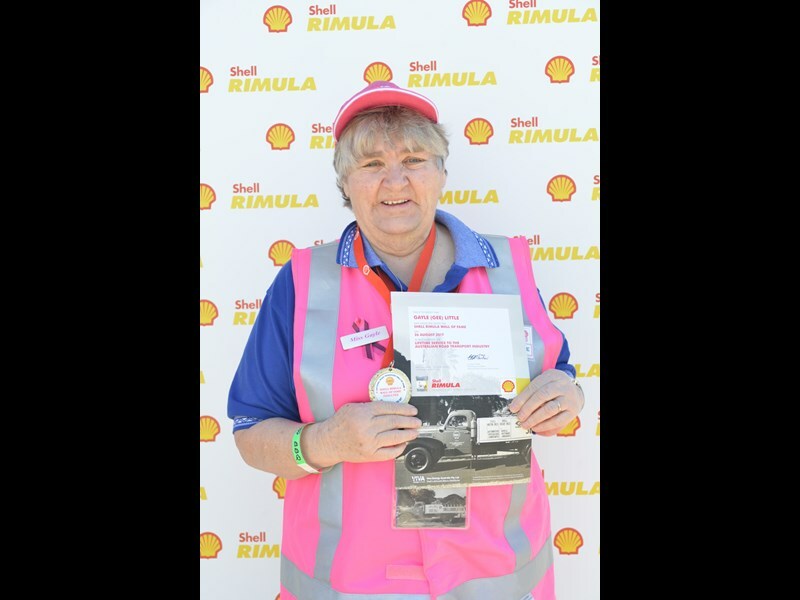 Trucking has played a huge part in her family with 3 of her children and her ex-husband driving trucks at one stage. Looking back at the presence trucking has had in her life Sandra reckons its camaraderie that she misses the most, many of her friends had family members who were away on the road, "we were a family." Neville Murphy has the bearing of a bloke who’s done more than his fair share of hard yards. Growing up the rural hamlet of Tara in Queensland’s Western Downs region, Neville started out as a delivery boy. As a grown up he hauled a lot of timber for local company, Harwood Transport. Marriage and family saw him move to Brisbane and give away the long haul life. Container work and bulk cement work kept him busy enough after that. Working for Queensland Cement and Lime was a highlight of his career, "The people were great, as was the manager at the time, Terry Leween, was the best bloke I ever worked for. Heavy haul veteran and Mack aficionado, Paul Harrison of Cardiff NSW was also inducted as an Icon of the Industry. The stories came thick and fast, Phill James of Broken Hill for example was too caught up hauling livestock to attend. 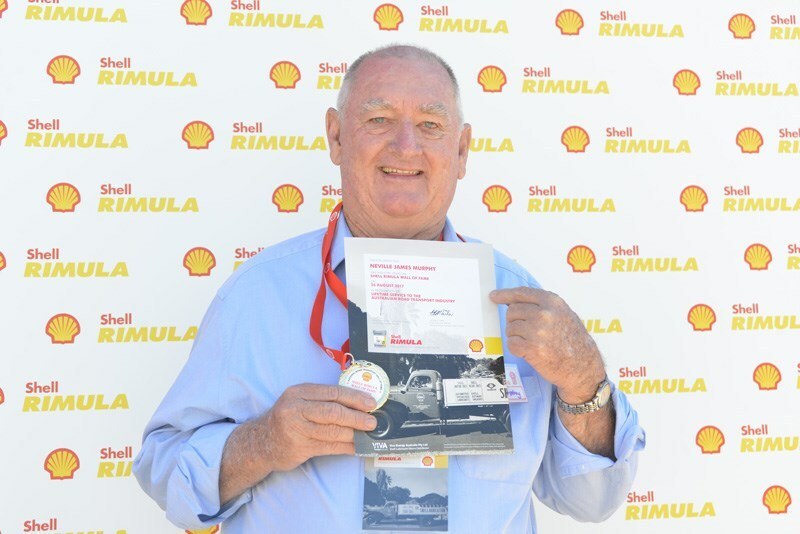 Bunny Brown, known for his involvement in the Tarcutta Truck and Farming Museum as well as ALDODA (Australian Long Distance Owner Driver’s Association) is now also a part of the hall of fame. Every five years there’s a big shindig at the RTHOF. However, while the sight and spectacle of all the trucks in town is a sight to behold, there’s something about the atmosphere of these smaller gatherings. The stories don’t get lost in the crowd. 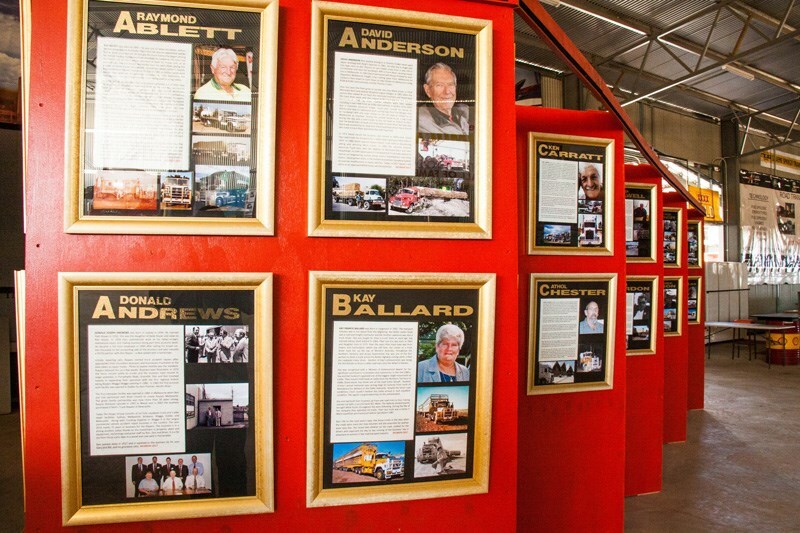 There are few events that celebrate the contributions that trucking and the people that make up the tapestry of the industry. And no doubt there will be more stories to tell next year.